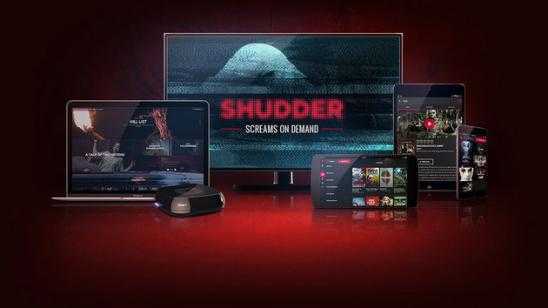 Shudder is the dedicated horror VOD service that is still delivering fantastic films for you to stream this November 2016. Included in the new Shudder movie collection is Phantasm: Remastered, The Exorcist III, plus many other exclusively streaming on the Shudder network all listed below. I have not made the leap to the service yet with current subscriptions to both Netflix and Hulu; Shudder is making me rethink my options. Press Release: As many a horror fan is wont to say, Halloween is an all-year endeavor. And though Samhain has ended, you could say Shudder is just getting started. Following our premiere of the stellar miniseries BEYOND THE WALLS, we’re all too excited to be the exclusive home of PHANTASM: REMASTERED (joined by PHANTASM III and IV). Headed by JJ Abrams and Bad Robot, this brand new restoration of Don Coscarelli’s American independent horror classic is the best you’ve ever seen it. Vividly rediscover the surreal journey of Mike, Jody and Reggie, up against the unknowable forces of The Tall Man, his extradimensional dwarves and the sphere. With the nightmare that much clearer, it’s all the more horrifying. Later this month, we’ll bring you the exclusive premiere of THERAPY, the second feature from French director and 17 year-old (!) Nathan Ambrosioni. Shudder is proud to be the home of this scary, simple story of a family of tourists and their brutal destination. It’s a total creepfest and undeniable showcase of raw, young talent. We’ll also host the first U.S. releases of wild Filipino horror WOMAN OF MUD (2000) and eerie French terror, VILLAGE OF SHADOWS (2010) ; we’ll stream EXORCIST author William Peter Blatty’s terrific directorial efforts, THE EXORCIST III and THE NINTH CONFIGURATION; we’ll swoon to Guy Maddin’s artful and singular horror ballet, DRACULA: PAGES FROM A VIRGIN’S DIARY; we’ll head into the basement for Pat Bishow’s 1987 gory and inventive 16mm trash horror THE SOULTANGLER; and we’ll look forward to the holidays with Finnish favorite, RARE EXPORTS: A CHRISTMAS TALE. That’s not to mention shorts, ghouls and more William Castle. Shudder’s got plans for you. Since its release in 1979, director Don Coscarelli’s epic tale of The Tall Man, his deadly silver Sentinel Spheres, and the group of small town friends who must band together to stop his dimension-hopping schemes has captivated and terrified horror and sci-fi fans around the world. An immediate success, bringing in 40 times its production budget, the film has influenced generations of filmmakers. Thirty-seven years later, PHANTASM has been finally restored to its original glory by J.J. Abrams’ Bad Robot and Coscarelli, with a stunning new remaster from the original elements that ensures PHANTASM will be around to scare the hell out of generations to come. Jane and Simon are two young police officers leading a routine investigation following the discovery of hidden video equipment in an abandoned house by a night watchman. At first glance, they don’t seem to contain anything unusual. They show five tourists taking advantage of the seasonal weather to go camping. As they continue watching, they discover that the group’s fresh-air excursion takes a sudden turn for the worst. Seized with panic, the young campers reluctantly end up in an abandoned building where it quickly becomes obvious that they are not alone, and that they’ve stepped into their own graves. To save them, Jane and Simon will have to act quickly, even if it means risking their own lives in the process. For more than fifteen years Police Lieutenant Kinderman (George C. Scott) has been haunted by the death of his friend Father Damien Karras. Now, on the 15th anniversary of the exorcism that claimed the priest’s life, Kinderman’s world is once again shattered when a boy is found decapitated and savagely crucified. It’s just the beginning of a nightmare series of bizarre religious murders. The brutal murders bear the hallmarks of the infamous Gemini Killer…who died in the electric chair fifteen years earlier. But when a psychopath claiming to be the Gemini Killer reveals intimate, gruesome details that only the true killer could possibly know, Kinderman is confronted with a horrifying truth that he cannot explain…and that will shake him to the core. Japanese master of suspense Kiyoshi Kurosawa’s eerie, intense psychological thriller PENANCE unfolds on a sleepy small town playground, when a mysterious stranger approaches a group of young friends, then kidnaps and brutally murders one of the girls. Wracked with grief, the victim’s unhinged mother Asako (Kyoko Koizumi) demands that the shaken survivors identify the killer or face a penance of her choosing. Growing up in the shadow of this tragic debt, each of the four girls cultivates a warped survival mechanism - avoidance, desperation, fear and obsession. WOMAN OF MUD (Dir. Rico Maria Ilarde) - ONLY ON SHUDDER/FIRST TIME IN THE U.S. VILLAGE OF SHADOWS (Dir. Fouad Benhammou) - ONLY ON SHUDDER/FIRST TIME IN THE U.S.